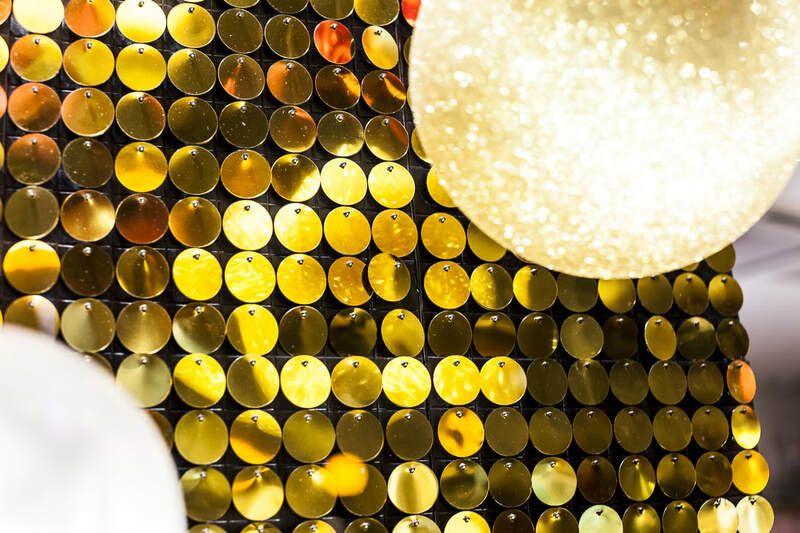 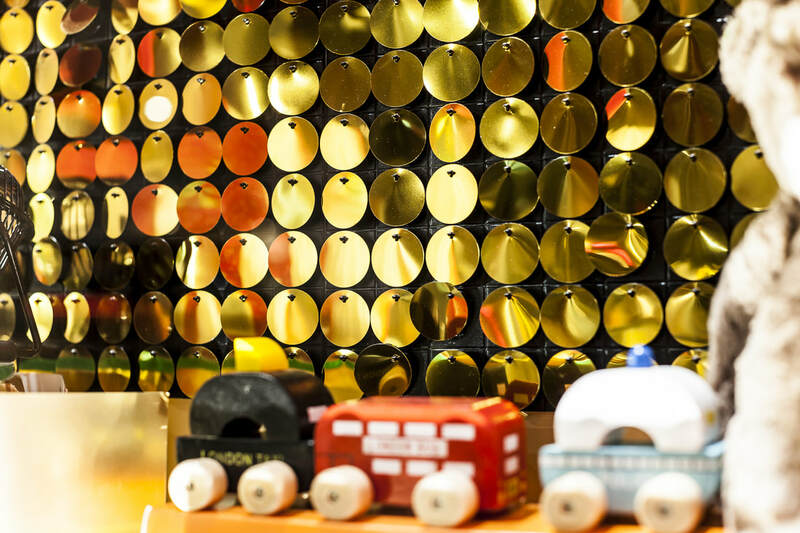 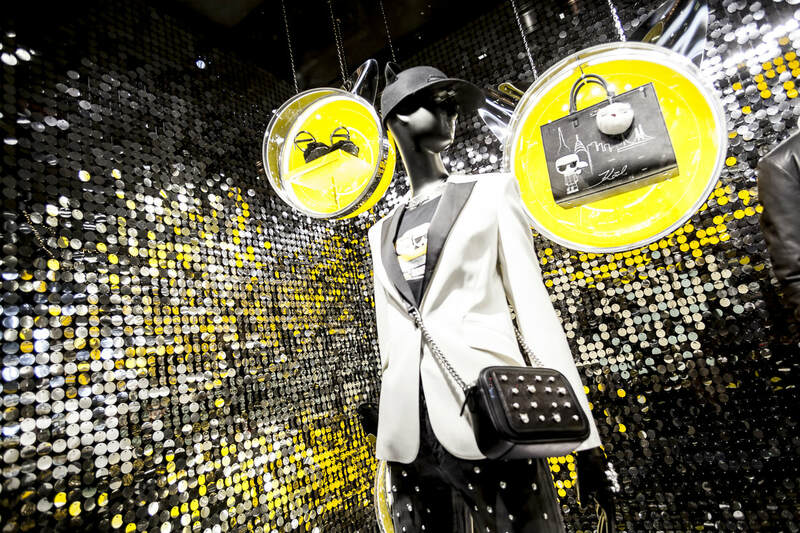 We provided these beautiful yellow gold sparkling sequin walls to provide a glittering backdrop to Trotters’ Christmas visual merchandising scheme designed by their in-house team. 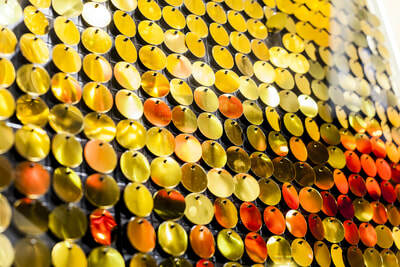 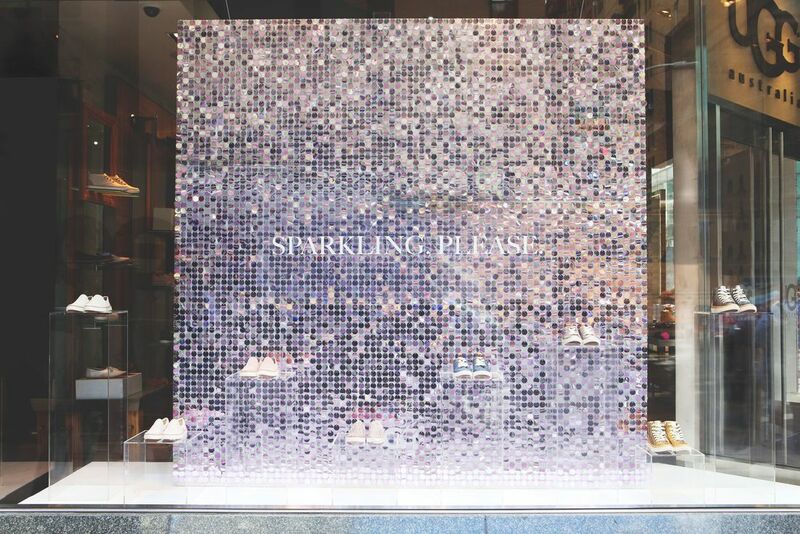 The images are from their iconic King’s Road, Chelsea store, but were used in all 6 of their retail locations. 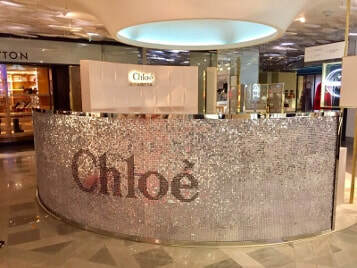 Our 30mm sequins were used for this project and were added to our black backing boards which were then attached to the window backing boards. 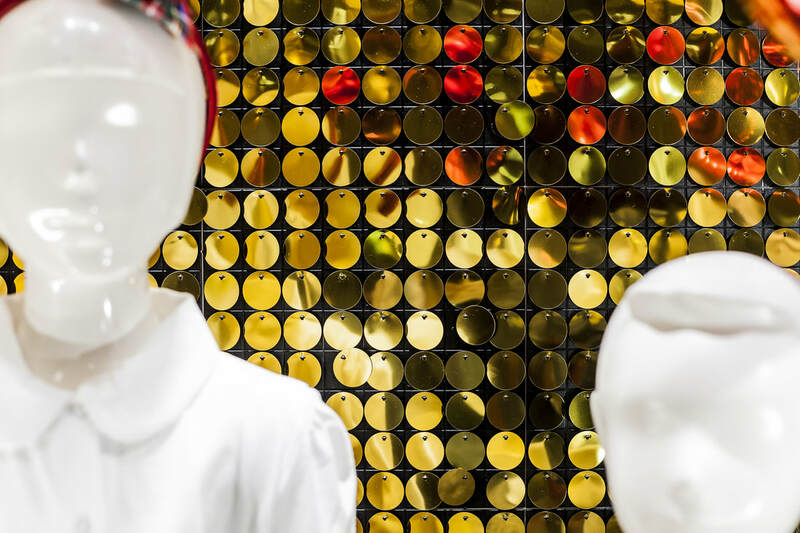 The gold shimmer discs off-set the satin and gloss red and gold baubles and provided a reflective shimmering surface adding another element to the retail visual merchandising scheme. The movement of the shimmering discs is very eye-catching and a simple solution as a backdrop to a retail window dressing Christmas scheme and is always a big hit with adults and children alike.